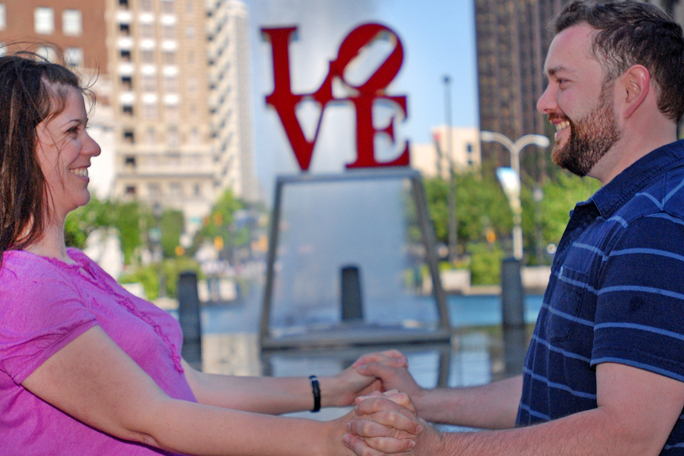 Philadelphia has abundant backdrops for your perfect engagement photography session. The city is known as the Birthplace of America, so you’re never far from history, colonial style architecture and other interesting landscapes. 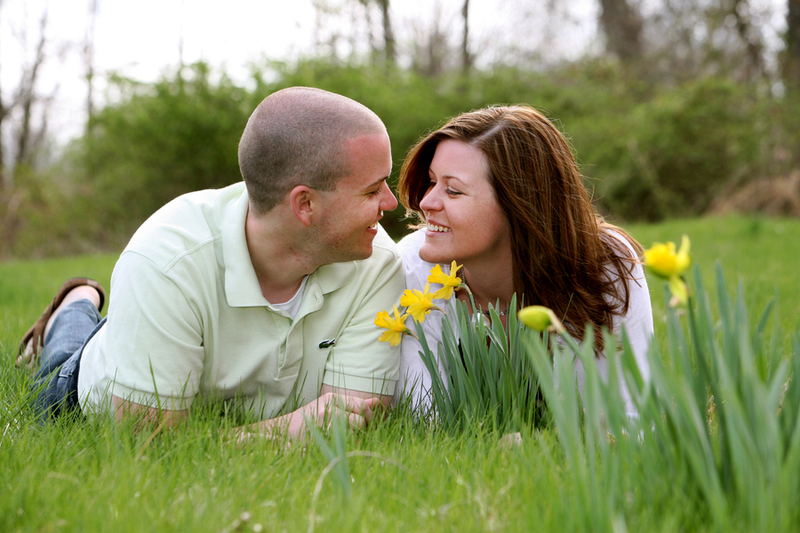 You can stage many memorable photos in a reasonably compact area. Philadelphia’s downtown and surrounding neighborhoods offer endless possibilities for your photographer – here are some prime picture-taking spots favored by locals and visitors alike. Downtown Philadelphia contains a pleasant combination of modern & classic architecture. The city’s picturesque skyscrapers – including Comcast Center, One Liberty Place, Two Liberty Place and Bell Atlantic Tower – are situated on JFK Boulevard and Market Street, directly west of City Hall. Your engagement pictures can easily capture the beauty and essence of Philly with these impressive buildings in the background. A prime location for romantic, unforgettable snapshots is Rittenhouse Square, four blocks south of “Skyscraper Row.” This well-manicured expanse includes plentiful area to capture your memorable day. Space for the park was originally cleared in 1682, and it has remained a quiet retreat for more than three centuries. Spring or summer pre-wedding celebrations can include the park’s well-regarded floral arrangement in your pictures – a colorful medley that complements virtually any color scheme. Plus, Rittenhouse Square’s reflecting pool is a can’t-miss destination. Depending on your photographer’s vantage point, you can include stately high-rise apartments, fine restaurants and more for a sophisticated urban background. Rittenhouse Square makes sense for more than beautiful photography, however; its central location makes the park an ideal launching pad to explore other downtown areas along your engagement photo itinerary. If you’d like to add a little cultural flair to your engagement pictures, two destinations are but a short walk from Rittenhouse Square: the Pennsylvania Academy of the Fine Arts and the Kimmel Center for Performing Arts. As the names would suggest, the former is steeped in classical appeal while the latter adds contemporary background for your memorable day. The PA Academy of Fine Arts celebrated its 200th anniversary in 2005. The academy’s impressive façade creates a dramatic backdrop for your engagement session photos. You can also schedule a tour if you’d like to take pictures inside. As the oldest art museum in the United States, it’s a great place to add history & culture to any snapshot session. The Kimmel Center, meanwhile, makes a memorable impression for multi-angle picture taking. Have your photographer include the building’s sweeping barrel-vaulted glass roof. Your picture schedule should definitely include the Kimmel Center for a refined, contemporary touch and robust background details. As your engagement picture taking tour winds its way through town, you’ll want to check out three additional spots, each noteworthy for their own unique style – and ultra-convenient to reach, especially when taken together. First, take a few shots in front of the Arch Street United Methodist Church. Its Gothic Revival marble architecture never fails to produce a worthwhile photograph. This church is one of Philadelphia’s hidden gems and compares favorably to any other classical church in the country. Next, swing by City Hall. Philadelphia’s political centerpiece ranks as perhaps the most ornate city hall in the United States. Crafted from limestone, marble & granite, it has detailed French Second Empire architectural pedigree and makes the perfect photograph backdrop. It’s hard to believe, but City Hall was the tallest occupied building in the U.S. exactly one hundred years ago! Its 548-foot tower features 4 clocks and a magnificent statue of Philadelphia founder William Penn. And if you want breathtaking views from the center of the city, take City Hall’s elevator to the tower deck. Your photo album will gain spectacular depth and dimension, no matter what vantage point your photographer shoots from. Last but certainly not least, steer your engagement picture tour toward the Masonic Temple, directly north and adjacent to City Hall. This Philly jewel of a building contains numerous halls, each with their own style & theme. You’ll find plentiful engagement photography possibilities in the temple’s Oriental, Renaissance, Egyptian and Gothic Halls – just to name a few! Romance & intrigue are never far away, and you’ll capture a historic element for your engagement snapshot session. Rates are reasonable; check their website for the latest information. If you’d like to stay outdoors, the Masonic Temple holds its own as a preferred place for picture taking. Most visitors to the City of Brotherly Love consistently rate this building as an essential destination. Complete your memories with a trip to Philadelphia’s Chinatown, which is located on 10th and 11th Streets a few blocks northwest of City Hall. You’ll find ornate gateways, dragon sculptures and other exotic accents from the Far East. 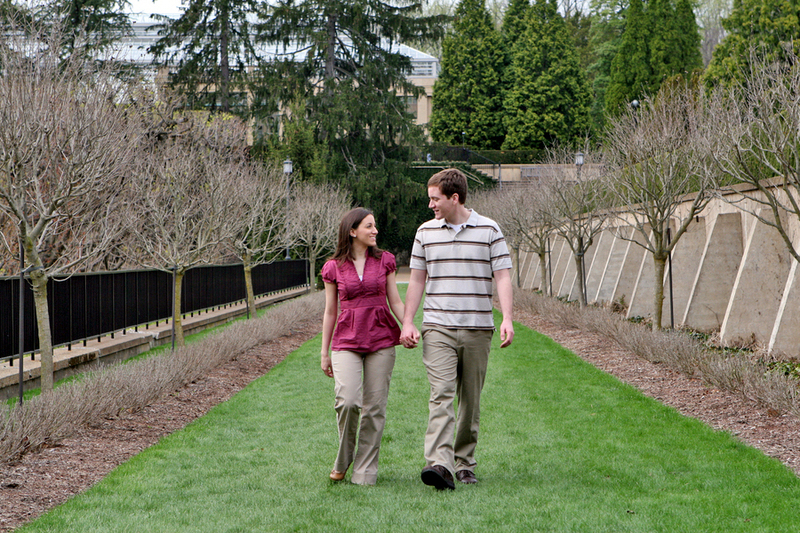 Plus, it’s an ideal spot to grab a bite to eat following your Philly engagement photo shoot! Be sure to take a few shots in front of the Friendship gate, located at 10th and Arch Streets.